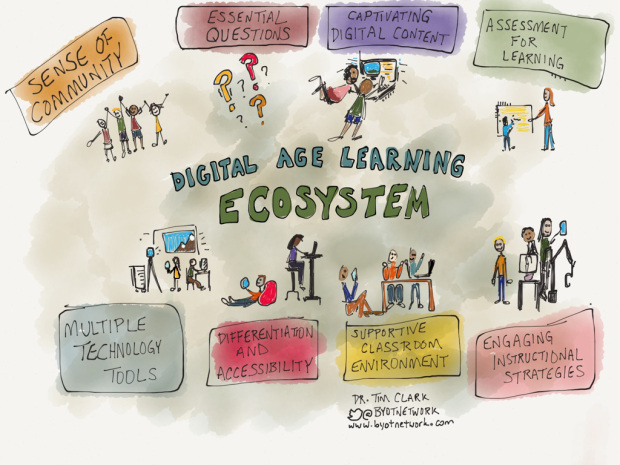 I’m super excited about this article on digital learning at http://byotnetwork.com/2014/07/06/the-components-of-a-digital-age-learning-ecosystem/. The author, Dr. Tim Clark, focuses on the various elements of a classroom (essential questions, assessment, classroom environment, etc.) and how technology can support them. I like this so much that I’m thinking about structuring a series of classes around this concept – let me know your thoughts.